Tandem Chillers Inc. supplies high quality, low maintenance stainless steel filtration or straining systems that can be used for a wide variety of applications to remove solid particles from liquid streams. Our filtration systems are specifically designed for the prevention of fouling, debris and particle buildup in our modular chilling systems. Their low maintenance, stainless steel construction and exceptional efficiency make them the ideal solution for any liquid chilling system. As liquid flows upward, through the internal riser pipe, heavier debris and particulate is accelerated downward (away from the conical screen) into the debris reservoir at the base of the strainer. The particulate is then flushed/drained from the reservoir via the debris flush port. 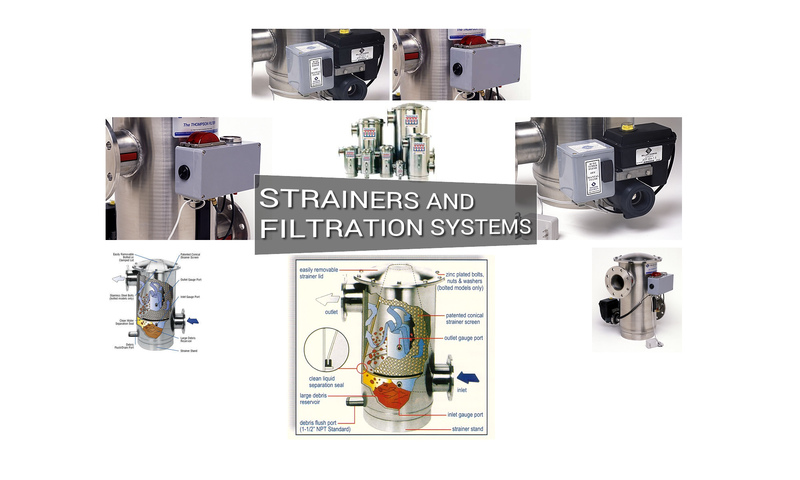 Unlike the traditional basket strainers, Y-strainers, or bag filters, our filtration systems can be flushed while online and in service. 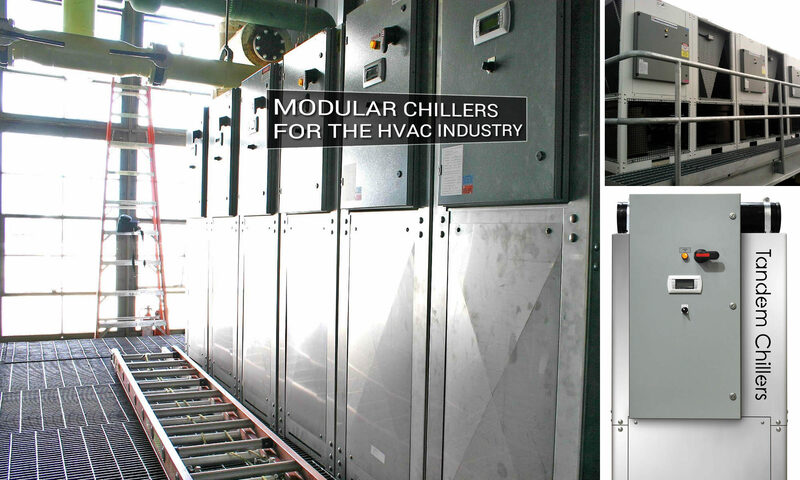 Compact, space-saving design reduces floor space requirements and protects modular chillers. Large debris reservoir where particulate can accumulate and be flushed while strainer is in service. Large screen filtering surface area minimizes screen cleaning frequency. No moving parts to replace or break down. Low pressure loss (less than 1-PSI at maximum flow, when clean. Designed to be installed for full-flow filtering (install with bypass for servicing screen) or side-stream with the filtration. Each model accommodates a wide range of flow rates with no minimum flow requirements. Gauge Ports (pressure gauges optional). All models are equipped with a pressure differential alarm which continuously monitors the inlet and outlet system pressure. When the strainer gets dirty, a switch-gauge triggers an audible siren and visual flashing alarm to alert maintenance personnel. All models include an automatic timer flush valve that insures that the particulate that falls down to the debris reservoir is automatically flushed. The power supply and timer controls for the valve package are housed inside the watertight control box, attached to the valve. The housing on all models is T304 Stainless Steel. Models TS-4 through TS-10 use a PVC elbow and riser pipe assembly. Gaskets: EPDM is standard, other compounds are available upon request. All Models: 1/4″ Stainless Steel Inlet & Outlet Gauge Ports are standard. Screen Meshes Available: 16, 30, 40, 50, 60, 80, 100, 120, 150, 200 1/4″ Perforated Sheet, 1/8″ Perforated Sheet. TS-4C 4" Flanged 350 GPM 367 sq. in. 125 PSI Clamp 1 ½"
TS-4 4" Flanged 350 GPM 367 sq. in. 150 PSI Bolted 1 ½"
TS-6 6" Flanged 750 GPM 745 sq. in. 150 PSI Bolted 1 ½"
TS-8 8" Flanged 1300 GPM 1559 sq. in. 150 PSI Bolted 1 ½"
TS-10 10" Flanged 2000 GPM 2434 sq. in. 150 PSI Bolted 1 ½"
Typical applications include cooling tower water, chilled water, pre-filtration, municipal water/reverse osmosis, wastewater, inlet plant water, marine and irrigation. If you are looking for high quality stainless steel construction, low pressure loss, low maintenance design, space-saving profile and lower operating costs, we have the solution for you.